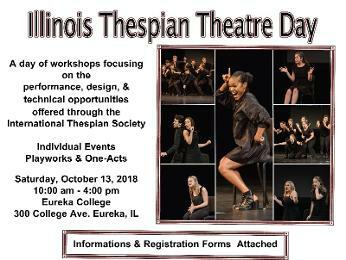 Welcome to the Illinois State Thespians Home Page! The International Thespian Society was established in 1929 by a group of college and high school teachers in Fairmont, West Virginia. They named their organization for Thespis, the Greek who, according to legend, was the first actor. Their guiding principle was a dedication to excellence in theatre arts in secondary schools. In the years since, the Society has grown into an international organization with more than a million members. But its goals have not changed. The Thespian Society still strives to make schools a place for good theatre and to honor those students who do it well.